There are only 2 steps to connect your Facebook Business Manager account into DashThis! Facebook Business Manager does not have its own API, it’s the same API as Facebook Ads. This is why you need to connect your Facebook Business Manager account through Facebook Ads. Also, once you’ve connected the source into DashThis, the logo that appears under Integrations in use is that of Facebook Ads, and not of Facebook Business Manager. It’s normal and all good. To connect your Facebook Business Manager account, you need to go through Facebook Ads. 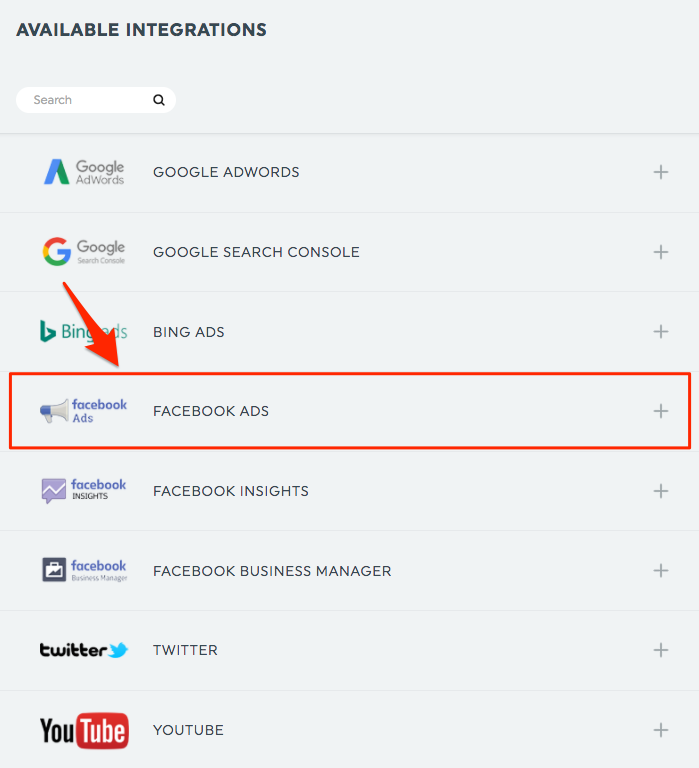 1 – Once in your DashThis account, go under the Integrations section and click to add Facebook Ads. 2 – You’ll be redirected to connect your personal account. Sign in as usual. Once you’ve signed in, you’re done! The data sources are automatically connected to your DashThis account. You can now create dashboards! Should you have any other questions, simply email us back at info@dashthis.com and we’ll be happy to help out! This entry was posted in Integrations and tagged Facebook Business.